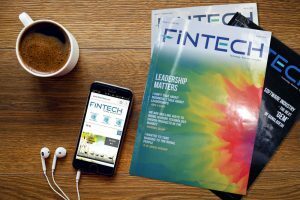 Home > Cover Story > CAN BANGLADESH CASH IN ON BIG DATA? CAN BANGLADESH CASH IN ON BIG DATA? Imagine a regular day of yours; to be precise, a day of yours with both evident and sleepy presence of gadgets and gears that translate and record your life in binary codes. Of course Dhaka is no Los Angles or Seoul or Tokyo but both mobile and internet penetration here have increased by manifold in the last couple of years. And it would neither be an exaggeration nor be a misnomer if we start rendering Dhakaits with zeros and ones. You wake up, probably by the tunes set in your smartphones. Even before you are out of your post-sleep repose, you are browsing through your social media feed. You get up, get ready and head to your work. You punch your card. The CCTV cameras in your office building take notes of your movement. You check mails, send a few. Do whatever your profession demands you to do. But in between, as you are completely in a rut, you check your social media feed for a number of times. May be something there lures you to enter an e-commerce sites. It then lures you to buy something. Since the Bangladeshi e-commerce sites still largely operate on cash-on-delivery method, and if you are not amongst the few who possess a credit card, you probably didn’t need to leave any information about you financial affiliation there. But the information about your purchase record was the one with highest value for those who know its usage. By the way, as you have been giving away the information that sums you up-your birth date, height, weight, eye color, national id no, passport no, spouses name and his/her birthday, your bank’s name and so and so forth to practically anyone who gave you a form with blanks, you have already left enough breadcrumbs for an able cook to bake some pie for you. So, the offering in that e-commerce site where you just placed an order was basically a calculated intelligent system driven advert directed towards you. And you haplessly click the ‘add to cart’ button as the system knew that chances of you doing such were very high. Yes, data has always been a key asset for some companies, but over the last three to five years, it has gone from “important” to “critical.” Data, and more important, data analysis, have become a true competitive advantage for all the industries, not just the Facebooks, Amazons, and Googles of the world. 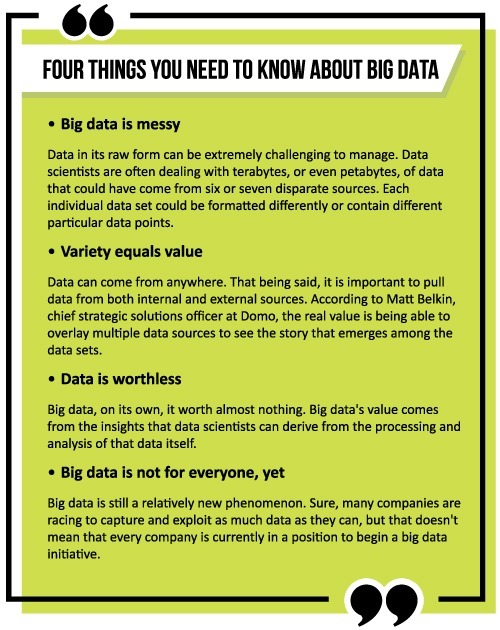 Welcome to the world of big data. Summing up something- which has a word ‘big’ in its very coinage- in few words, is no easy task. So the attempt of untangling the big data hairball in one sentence could lead someone into a ‘big’ confusion. Nonetheless, big data is a collection of data from traditional and digital sources that represents a source for ongoing discovery and analysis. In defining big data, it’s also important to understand the mix of unstructured and multi-structured data that comprises the volume of information. Unstructured data comes from information that is not organized or easily interpreted by traditional databases or data models, and typically, it’s text-heavy. Metadata, Twitter tweets, and other social media posts are good examples of unstructured data. Multi-structured data refers to a variety of data formats and types and can be derived from interactions between people and machines, such as web applications or social networks. A great example is web log data, which includes a combination of text and visual images along with structured data like form or transactional information. 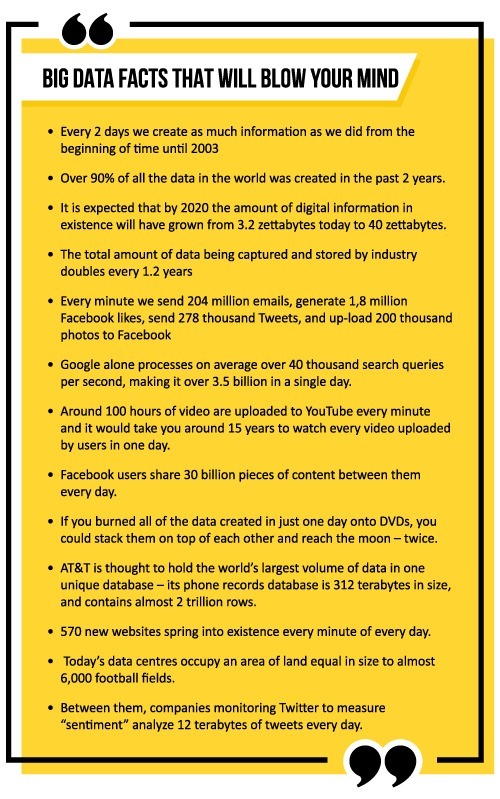 Why Big Data has become big? Hilary Mason, co-author of the book Data Driven: Creating a data culture explained the reason behind the rising popularity of big data in three succinct points. First, CPUs and data storage have become so cheap that it’s viable to collect and analyze data that previously would have been too expensive. Second, we have commodity tools that make it possible to do this without a huge investment in people and infrastructure. And finally, we’ve made a lot of progress as data scientists in knowing how to find value in data. Aside from the three points that Mason mentioned, it is a fact that most businesses, even in a relatively technologically backwards country like Bangladesh, are collecting significantly more data during their normal operations than they did in the past. Supershops like Agora, Meena Bazaar, Shawpno and Nandan are keeping records of customers purchase and with the provision of membership cards, they now can store information about those purchase habit in individual matrix. Even a small f-commerce site that sells sandals or mobile phone covers could now collect more information about a customer. Technology is a great equalizer indeed. However merely collecting and warehousing a mountain of data isn’t enough. To gain a competitive advantage, companies must use their data to determine behavior. The ultimate goal is for companies to build a predictive model that’s personalized. In Bangladesh, businesses have just put its initial steps in that sea of big data potentiality. What are the potentials of big data in Bangladesh? What big data can attain for a business, an individual or even for a state system is something which is still largely being explored in academic arena, not to mention about the practical researches on the issue through large industry-university initiative in the developed countries. In Bangladesh, even though a number of large tier-3 data centers under both public and private initiatives are established and it is on the way to have its first tier-4 data center, analysis of the potentiality of big data is still a far cry. Especially, the commercial banks which practically sit on the large amount of data of their customers are yet to devise a method in using those data meaningfully to give their customers a better banking experience. Besides, Bangladesh’s wireless telecom sector with the world’s 15th largest subscriber base of around 90 million is storing a large amount of data. They have to record location data, loads of messages transaction, call records and data usage and also need to analyze the usage patterns to come up with more competitive and customised packages for different categories of users. Now, this proliferation of smart phones and other GPS devices offers advertisers an opportunity to target consumers when they are in close proximity to a store, a coffee shop or a restaurant. This opens up new revenue for service providers and offers many businesses a chance to target new customers. The real time data collected by the mobile operators in Bangladesh could be used to analyze the traffic pattern in Dhaka and through those analyses; a better traffic management system could be formulated. Big data could even change the fight against corruption. Stories from Panama and Brazil illustrate how. In April 2016, the Panama Papers revealed the opaque dealings of offshore companies, trusts and foundations in tax havens used to hide the wealth of the global elite. Data analytics start-ups helped investigative journalists sift through more than 11.5 million documents to connect the dots. The fallout was severe: within days of the release, dozens of high-ranking officials worldwide were in hot water. The source of the data was a leak from within the Panama-based law firm Mossack Fonseca. In Bangladesh, we have the Right to Information (RTI) act and that grants Bangladeshi citizens the right to request and access government information. By analyzing those information, individual, organizations and media could lay the foundation for making the government more accountable in performing its duties. At the outset, we acknowledge that these are still early days for big data, even in from the global perspective let alone from the one of Bangladesh’s. It is still evolving as a business concept as well as effective tools for governance in tandem with the underlying technologies.